Computer Telephony Site Map Technical Library CTI - Database Systems Corp. This section of our technical library presents information and documentation relating to CTI and Computer Telephony Integration software and products. Computer Telephony Integration CTI software is a rich set of phone software library routines that enable application programs to control your phone system. This comprehensive CTI software lets you increase employee productivity, enhance customer service and reduce costs by combining the capabilities of our PACER phone system with the custom functionality of your Windows, Unix or Web applications. Data collected by your phone ACD (Automatic Call Distribution) or IVR (Interactive Voice Response) systems can be passed to your existing PC, Unix or Web applications through our phone software. The PACER predictive dialer can automatically call your customers and pass only connected calls to your agents. With our computer telephony software, your telephone and computer work together to provide cost-saving benefits. 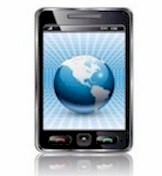 Will mobile be the death of fixed line telephony? Can Voice over IP transform the way you do business? Can The Internet Help Lower Your Phone Bill?